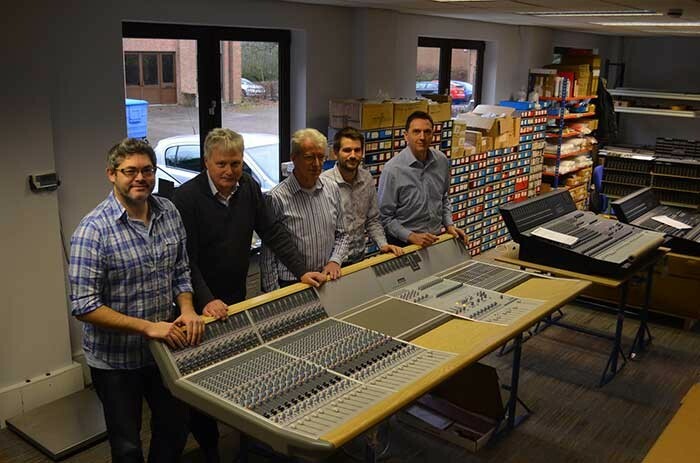 UK - Audio manufacturer Audient received a significant boost in the form of new ownership under audio veteran Simon Blackwood. Taking the helm at Audient this month, Blackwood is already working closely with the Hampshire-based team, using his considerable business experience within the audio industry to further strengthen the Audient brand. Blackwood is clearly impressed by the current product line and personnel - including recently appointed managing director, Steve Flower, chief technical officer, Tom Waterman and sales and marketing director Luke Baldry. “I have keenly followed Audient’s success over the years, so the opportunity to work directly with the team to take the business to the next level was too compelling to turn down,” he says. 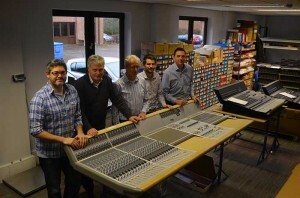 “The brand has become universally recognised for producing award-winning, innovative products for modern music recording and production,” he continues, highlighting the landmark sale of the 500th ASP8024 flagship mixing console to a studio in Canada, and the nomination of the “ASP-console grade iD22” audio interface for a 2013 TEC award as recent examples in a long line of achievements. Blackwood has wide leadership experience within the audio industry, having founded the Soundcraft Spirit business, led the resurgence of Focusrite/Novation and most recently the turnaround at Turbosound and its eventual sale to the Music Group.